The Department of Education, Central Tibetan Administration (CTA), would like to congratulate Ms. Tenzin Dolma, a student of Master of Arts, the Maharajah Sayajirao University of Baroda on her winning the Gold Medal at the 66th convocation of the University held on 22nd January 2018. She has obtained 72.9% in history subject, the highest marks in history subject. We wish her a successful career ahead. It is a matter of pride for Department of Education, Central Tibetan Administration to see your outstanding performance in the Examination. 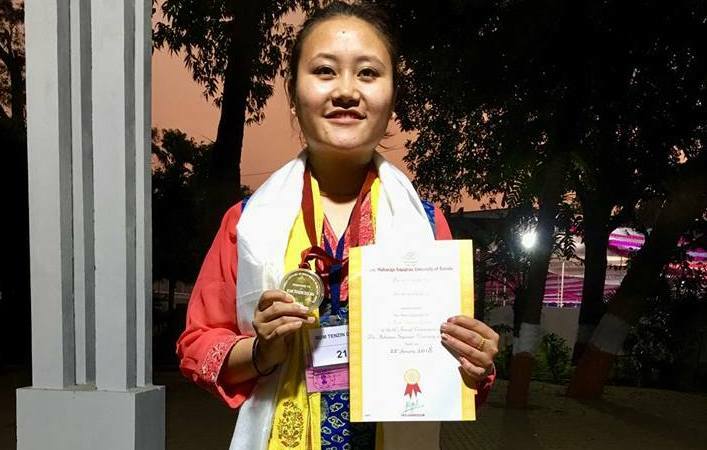 We believe you could be an exemplary role model for other Tibetan students who are studying in various colleges and universities in India and abroad.